Scottsdale, AZ (PRESS RELEASE) – Tocaya Organica, the popular fresh-casual Modern Organic Mexican concept that has expanded to nine locations across Southern California since its debut in 2016, has opened its first out-of-state restaurant in Arizona. The new outpost opened its doors in Scottsdale in November at Kierland Commons at 1525 N. Kierland Blvd. Founded by Los Angeles-based hospitality company, The Madera Group, Tocaya is ready to bring its mission for better eating to the Scottsdale community. Conveniently located in the heart of Scottsdale’s northeast valley, Tocaya Organica Kierland Commons offers a versatile menu that Southern California Tocaya fans have come to know and love. Using locally-sourced, organic ingredients, Tocaya’s menu is rooted in traditional Mexican recipes, naturally accommodating a variety of eating preferences with vegan, vegetarian, and gluten-free alternatives for salads, tacos, bowls and burritos, while giving non-vegans their choice of grass-fed meat, free-range chicken and fish that is always fresh, never frozen. Guests can expect aguas frescas and juices, as well as margaritas, beer and wine. The 5,701 square foot Scottsdale location brings to life Tocaya Organica’s ethos of modern simplicity with an open floor plan and kitchen, boasting bright, airy design elements with vibrant-colored mosaic tiles alongside white marble table tops, reclaimed wood panels and brass accents to complement the fresh-casual vibe of the space. Inspired by the unique enclave of Scottsdale, this Tocaya outpost features tabletops crafted by Phoenix-based Porter Barn Wood that line the 65-seat indoor dining area together with booth seating, and a custom potted plant display breathes depth and texture into the room. Bi-fold sliding doors lure guests to the similarly outfitted 85-seat patio and outdoor dining space, which offers an airy reprieve from the bustling shoppers, with an expansive lounge area complete with fire tables that bring an intimate feel to the overall restaurant experience. With the tenth store opening for the rapidly expanding brand, Tocaya Organica edges closer to its plans to have 12 locations by the end of the year. Tocaya is located near the corner of East Green Parkway and North Kierland Blvd, on level one of Kierland Commons. Convenient valet parking is available at the shopping center, and guests can also park in the large, easily accessible lot behind the restaurant. Tocaya is open daily for lunch and dinner from 11:00am – 10:00pm. For more information about the restaurant visit tocayaorganica.comor follow along on Instagram @tocayaorganica Twitter @tocayaorganica and Facebook. ABOUT TOCAYA ORGANICA: Tocaya Organica was founded in Venice, CA in 2016 with a mission to inspire better eating. 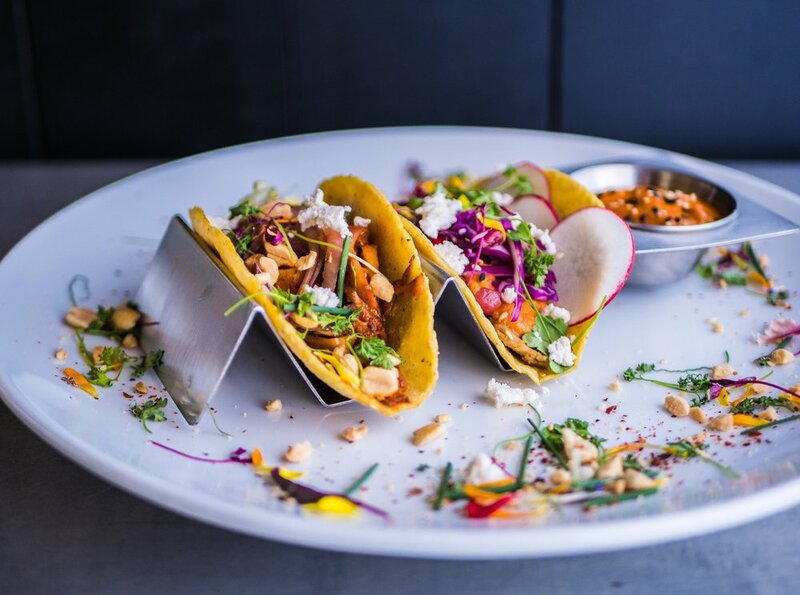 The fresh-casual restaurant serves Modern Organic Mexican cuisine with a chef-driven menu committed to sustainability and the use of locally-sourced organic ingredients. Tocaya Organica caters to a variety of dietary preferences including vegan, vegetarian and gluten-free, and uses sustainable fish and meats that are free of hormones, steroids and antibiotics. Tocaya Organica is open daily for lunch and dinner. The restaurant includes locations in Hollywood, Venice, West Hollywood, Santa Monica, Beverly Center, Playa Vista, El Segundo, Century City, San Diego, and now Scottsdale. Expansion plans for Tocaya Organica include an additional 2 locations set to open in 2018 and a projected total of 12 additional locations in 2019. For more information, please visit:www.tocayaorganica.com or follow @tocayaorganica on Instagram, Facebook and Twitter. ABOUT KIERLAND COMMONS: Well-placed in the enviable enclave where North Phoenix meets Scottsdale, Kierland Commons is a 24/7, mixed-use urban oasis that is home to some of the most desired lifestyle brands and the region’s most alluring restaurants and nightlife. Top-drawing names at Kierland Commons include Anthropologie, Athleta, Arhaus, Coach, Crate & Barrel, Eileen Fisher, Michael Kors, Sur La Table, True Religion Brand Jeans and many more, plus nearly a dozen exciting restaurants, including Zinc Bistro, Postino Wine Café, Bar NoRTH, and The Greene House. Near Scottsdale Airpark and a trove of top-tier business parks and corporate offices, Kierland Commons is the place to see and be seen for young professionals, fashionistas, foodies and resort visitors. For more information, visit kierlandcommons.com.